Schizophrenia is a chronic debilitating neuropsychiatric disorder that affects about 1 % of the population. Dystrobrevin-binding protein 1 (DTNBP1 or dysbindin) is one of the Research Domain Constructs (RDoC) associated with cognition and is significantly reduced in the brain of schizophrenia patients. To further understand the molecular underpinnings of pathogenesis of schizophrenia, we have performed microarray analyses of the hippocampi from dysbindin knockout mice, and found that genes involved in the lipogenic pathway are suppressed. 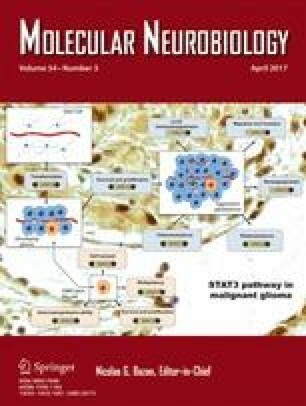 Moreover, we discovered that maturation of a master transcriptional regulator for lipid synthesis, sterol regulatory element binding protein-1 (SREBP1) is induced by neuronal activity, and is required for induction of the immediate early gene ARC (activity-regulated cytoskeleton-associated protein), necessary for synaptic plasticity and memory. We found that nuclear SREBP1 is dramatically reduced in dysbindin-1 knockout mice and postmortem brain tissues from human patients with schizophrenia. Furthermore, activity-dependent maturation of SREBP1 as well as ARC expression were attenuated in dysbindin-1 knockout mice, and these deficits were restored by an atypical antipsychotic drug, clozapine. Together, results indicate an important role of dysbindin-1 in neuronal activity induced SREBP1 and ARC, which could be related to cognitive deficits in schizophrenia. The online version of this article (doi: 10.1007/s12035-016-9773-x) contains supplementary material, which is available to authorized users. We thank Ms. Hui-Jen Lye and Ms. Sau-Yeen Loke for help with microarray analyses. This work was supported by the National Research Foundation, National Medical Research Council and National University Health System, Singapore (WYO) and by HD026979, MH079614, and DK084336 (SFK).